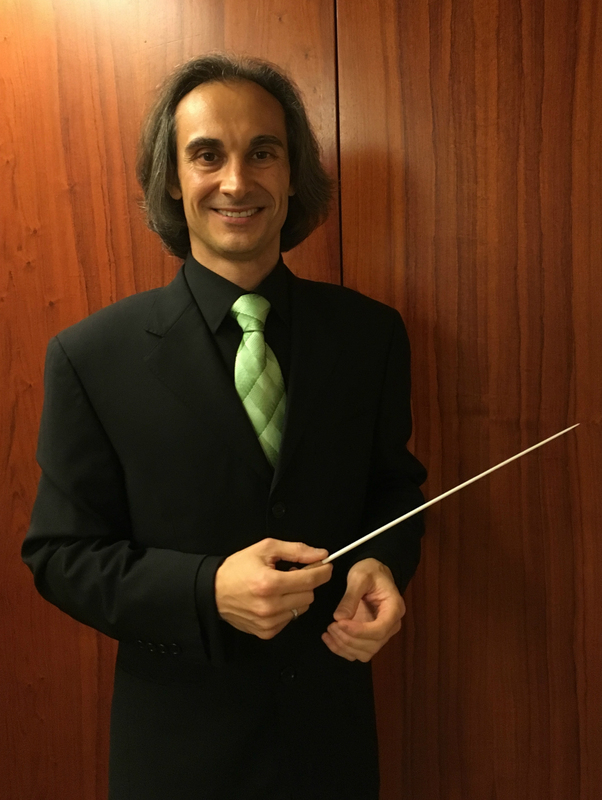 Anthony has established an international reputation for conducting with tremendous passion born of a profound knowledge and understanding of the repertoire. He has worked with orchestras and companies as diverse as the Royal Liverpool Philharmonic Orchestra, Royal Northern Sinfonia, Fundação Calouste Gulbenkian Orchestra (Lisbon), Jerusalem Symphony Orchestra, Lahti Symphony Orchestra, Basel Symphony Orchestra, City Light Symphony Orchestra (Lucerne), Aalborg Symphony Orchestra, Bulgarian State Opera, Britten Sinfonia, Manchester Camerata, Abai State Kazakh National Opera & Ballet Theatre, RTÉ Concert Orchestra (Dublin), Oviedo Filarmonía (Asturias), Orquestra Simfònica Camera Musicae and the Barcelona Symphony & Catalonia National Orchestra. In his varied career, Anthony has enjoyed working with artists such as the internationally renowned percussionist Dame Evelyn Glennie; Italian tenor, Fabio Armiliato; American tenor, Noah Stewart; Welsh baritone, Gary Griffiths; Latvian accordionist, Ksenija Sidorova and the award-winning Malaysian-born concert pianist, Mei Yi Foo. Recent years have seen Anthony establish himself as one of the finest conductors of ‘Film with Orchestra’ concerts, with performances of Psycho, Vertigo, The Wizard of Oz, Singin’ in the Rain, Raiders of the Lost Ark, Jurassic Park, Home Alone, An American in Paris and Disney’s Beauty and the Beast. Equally at home in the Opera House, Anthony was a prize winner in the biennial Blue Danube Musik Impresario (Vienna) International Opera Conducting Competition (2011), and his opera credits include Don Carlo, La Traviata, La Bohème, Madama Butterfly, Il Barbiere di Siviglia, La Cenerentola, Don Giovanni, The Magic Flute and Orpheus in the Underworld. After studying piano, composition and conducting at the Sydney Conservatorium of Music, Anthony’s career in musical theatre began with an International tour of South Pacific, and includes Blood Brothers, Ken Hill’s Phantom of the Opera, A Grand Night For Singing, Chess, Dear World, CATS (Australia, the UK, International Tour & West End Revival), Grease, The Wizard of Oz, Bye Bye Birdie, The Lion King (London, Sydney, Melbourne & Shanghai), Forever Plaid, Andrew Lloyd Webber’s The Phantom of the Opera (London & UK Tour), Funny Girl, Jesus Christ Superstar, The Sound of Music, and most recently, the UK/European touring production of Evita. Between 2014 and 2018 Anthony was Principal Conductor of the British Sinfonietta. In the 2019-2020 season, Anthony will make his debut with the National Symphony Orchestra of Peru, and the Bilbao Symphony Orchestra, and make welcome returns to the Royal Liverpool Philharmonic Orchestra, Royal Northern Sinfonia, the Orquestra Simfònica Camera Musicae and Fundação Calouste Gulbenkian Orchestra (Lisbon).